It’s just another day in the life of an average kid. If you’re Alex Rider, that is. A con artist has realized there is big money in charity: the bigger the disaster, the greater the money flow! So that is what he will produce: the biggest disaster known to man, all thanks to genetically modified corn that can release a virus so potent it can knock out an entire country in one windy day. But Alex Rider will face whatever it takes – gunfire, explosions, hand-to-hand combat with mercenaries – to bring down his most dangerous adversary yet. 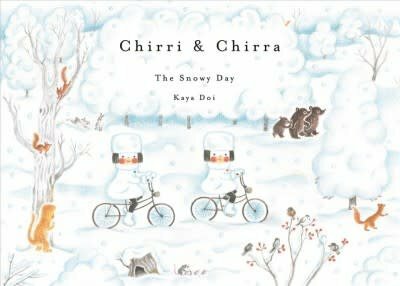 Chirri and Chirra travel into the heart of an ice palace, where they discover all sorts of wonderful sights!